NEW YORK–(BUSINESS WIRE)–The National Association of Corporate Directors (NACD) announced its annual list of the 100 most influential individuals in the boardroom. Among the honorees is Diligent CEO Brian Stafford. 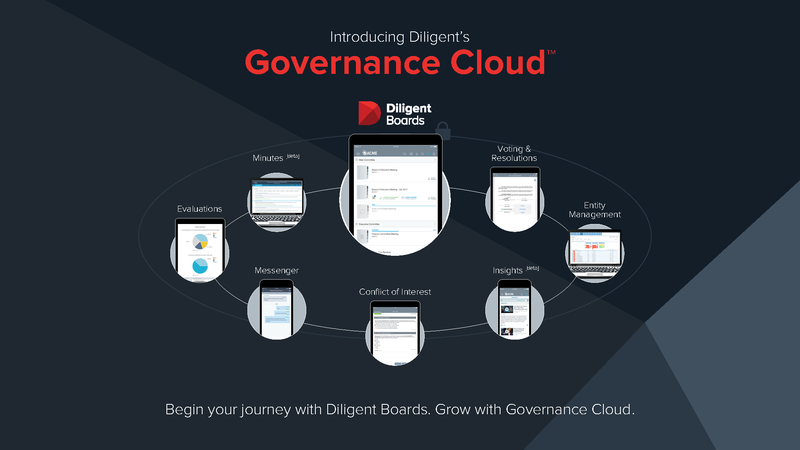 Diligent, the leader in Enterprise Governance Management, is one of the fastest-growing software-as-a-service (SaaS) companies and provides secure governance and collaboration solutions for boards and leadership teams across the globe. The NACD Directorship 100 seeks to recognize the most influential leaders in corporate governance. This year’s list is composed of 50 public company directors and 50 governance professionals and institutions that demonstrate knowledge, leadership and excellence. At the helm of the company since 2015, Stafford has driven Diligent to new heights. Under his leadership, Diligent has brought the only integrated and secure enterprise governance management solution to market with Governance Cloud. Stafford’s leadership has not only catalyzed greater value for clients, but has also driven Diligent’s revenue from $80 million to $200 million annually — making it one of today’s most successful SaaS companies. Throughout his career, Stafford has served as a constant engine for growth generation, consistently devising unique approaches to accelerate scalable business and managing seamless growth for his clients. Previously serving as a Partner at McKinsey & Company, Stafford founded the organization’s Growth Stage Tech Practice, where he focused on growth strategy and SaaS companies. Diligent provides tailored services to meet the needs of every boardroom, spanning industry sectors and individualized preferences. With over a decade of experience as the market leader in corporate governance software and over 14,000 clients and 450,000 users around the globe, Diligent works with clients to provide solutions addressing today’s disruptive business environment. Visit www.diligent.com to learn more.